Gov. 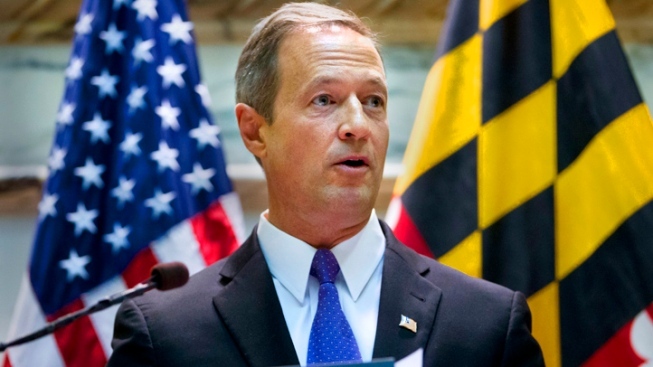 Martin O'Malley is acknowledging a troubled start for Maryland's online health insurance exchange, but he predicts the state will still meet its enrollment goal by the end of March. In an interview with CNN's "State of the Union," O'Malley said the online health insurance exchange faced complex technology challenges every step of the way. But he says the state is more than halfway to its enrollment goal. Medicaid enrollments have exceeded expectations. But the state has said it wants to enroll 150,000 people in private plans by the end of March. As of Jan. 4, only 20,358 people had enrolled in private plans. O'Malley says the state will meet its goal for a combined 260,000 enrollments in Medicaid and private insurance. He says the website is functioning better. O'Malley cannot run for re-election at the end of this term. He spoke about his political future on CNN. Also on Sunday, The Washington Post reported that senior state officials failed to heed warnings for more than a year of trouble with Maryland's health exchange, even while it was touted as a model for the nation. There were early warnings of missed deadlines and that no one seemed to be fully in charge of the $170 million project. Key leaders quit, and there was feuding between contractors that led to lawsuits.